An example (albeit an extreme one) of why my home city is known as 'windy Wellington'! Source, YouTube. The location of the NIWA Wellington office. We also have sites at Bream Bay, Auckland, Hamilton, Rotorua, Turangi, Napier, Wanganui, Nelson, Greymouth, Christchurch, Tekapo, Lauder, Alexandra and Dunedin. 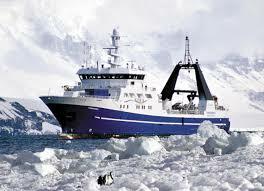 We also have several research Vessels, including the ice strengthened Tangaroa (shown below). Click below to get to my ORCID page!